David Clay's "Guide to Alpha Male Traits & Confident Body Language" is a comprehensive guide to becoming a confident person who succeeds on the dating scene. 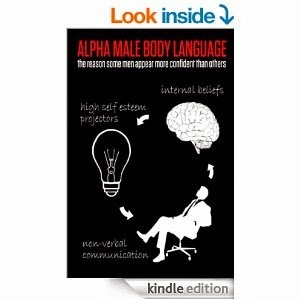 The book covers everything you need to know about being an alpha male, from how to have leader-like thought processes to how to present yourself. The book is written in a very easy-to-understand format. It's almost as if you are talking to a friend giving you advice. There are also lots of images to give you specific examples of what the author is talking about. One of the book's more interesting chapters is one in which it reconciles being "nice" with being an alpha male. It's a situation that many wonder about, and this book does a perfect job of describing the solution. The book is extremely thorough and will not leave any questions unanswered. Overall, a must-read for anyone looking to make changes in their life so that they can become an alpha male.